This week’s SATURDAY SIX takes a look at the Six Best Snacks in Epcot’s World Showcase. By now you know we love theme park snacks. 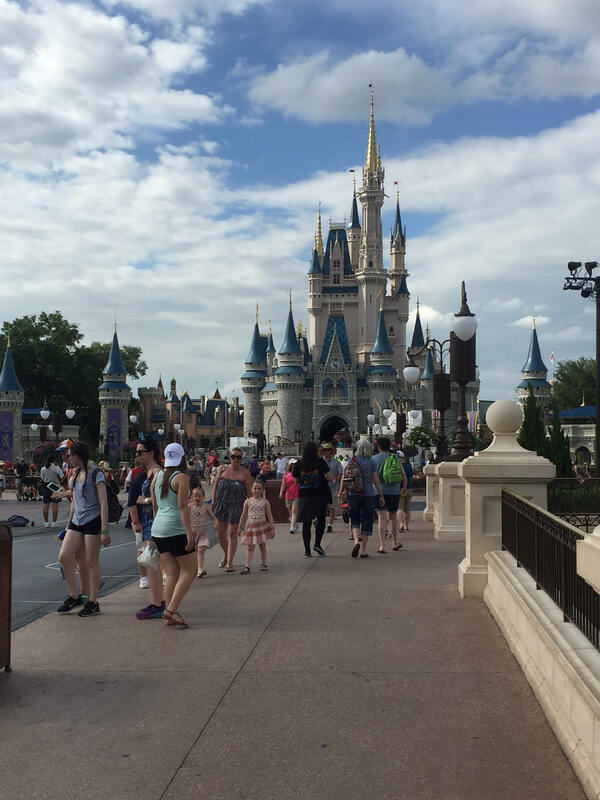 From the iconic Mickey Bar and Dole Whip at the Magic Kingdom to the outrageous Brain Freezin’ D’oh-nut Sundae in Springfield USA, we can’t get enough. 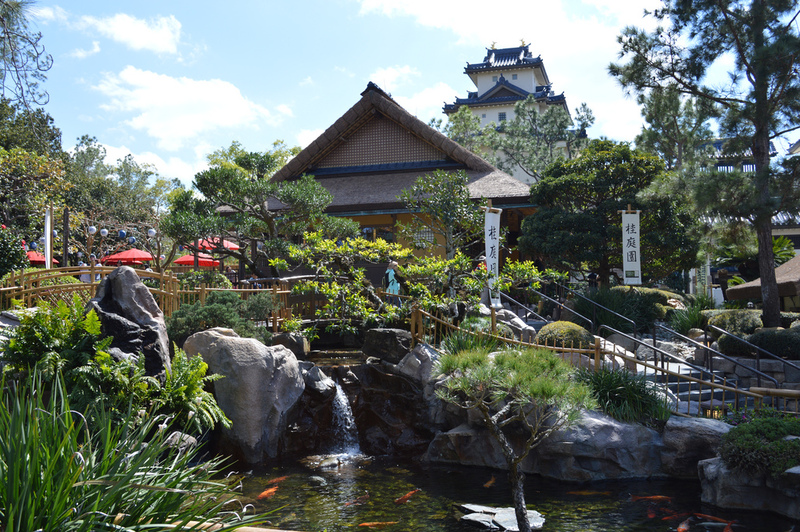 Today we are going to the holy land of all dining in Walt Disney World, Epcot’s World Showcase. 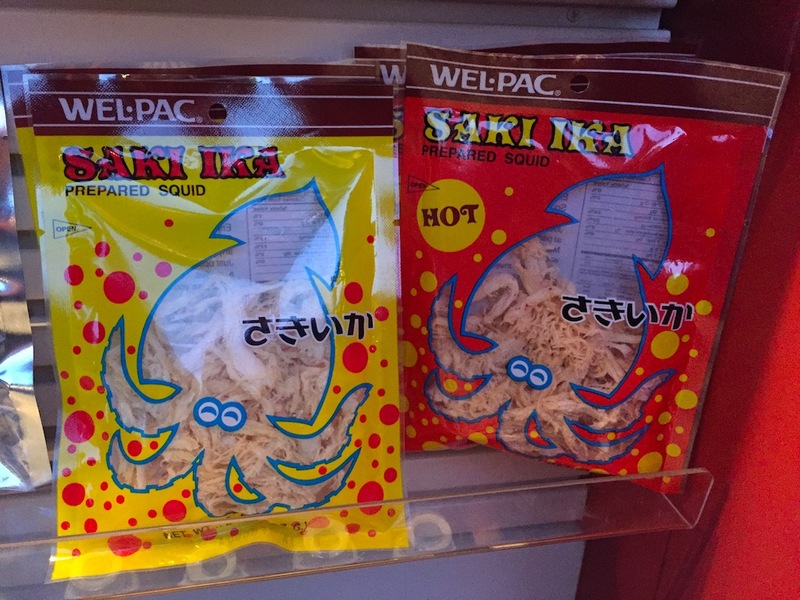 Yes, you know about the incredible restaurants like Via Napoli and bars such as La Cava del Tequila, but we are going to take a look at the underrated dining aspect of World Showcase: the snack department. Everyone has their favorite, so let’s start off the list with…. 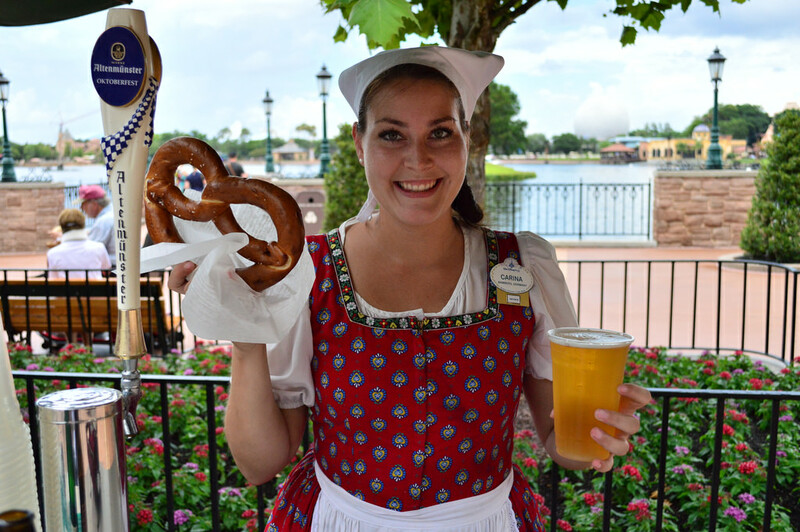 No offense to the Mickey pretzel but this is THE pretzel to get in Walt Disney World. 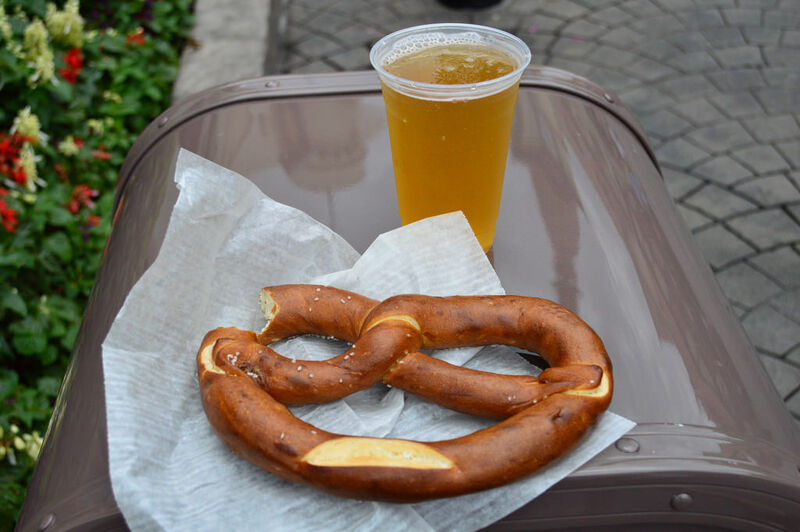 A hand twisted pretzel in Germany is in fact almost the perfect snack because it’s; A) Easy to eat while touring the park B) Big enough to share C) Is something almost everyone in your party can enjoy D) Goes great with an ice cold beer. Good news on the last point because as luck would have it Germany is also one of the best places to get a beer in World Showcase. How convenient! While we recommend the Oktoberfest brew, you can’t go wrong with the Grapefruit Beer either. 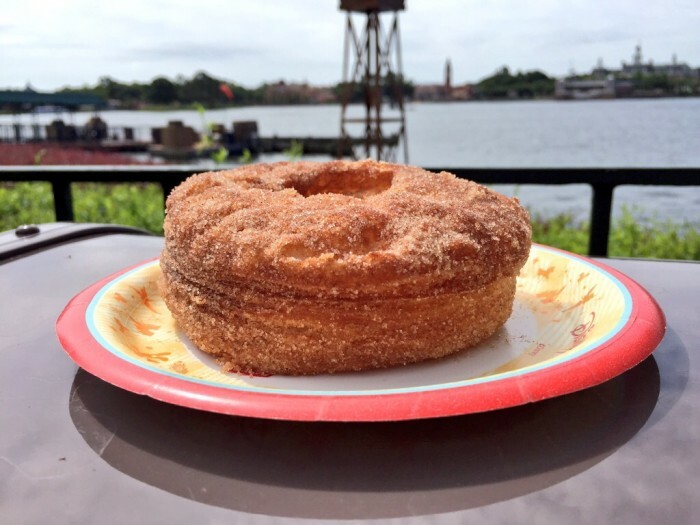 One of the new editions to the World Showcase snack family is the Croissant Donut and it has immediately become one of the park’s most popular options. Commonly referred to as a cronut by guests, this donut is made by stacking layers of flaky pastry, deep frying it, and then tossing it in cinnamon and sugar. This is one “food fad” that looks to be staying around a long time as it’s just that good. Available at Refreshment Port, the croissant donut makes the perfect start to an afternoon of touring World Showcase. The Cronut at Refershment Port. The Italy Pavilion at Epcot already has the greatest pizza on Disney property at Via Napoli, but it also offers one of the best places for ice cream at their Gelato Cart. Guests can get two scoops of their various flavors in a coppetta (cup) or in a cono (cone.) 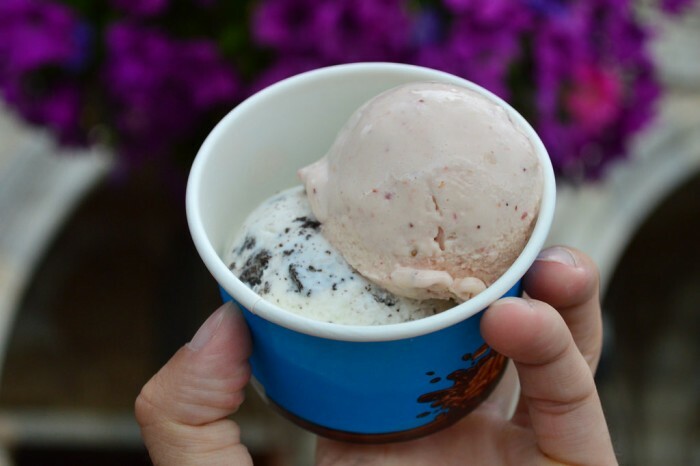 They also offer four of their own creations including the Coppa Amicizia (cookies & cream, strawberry, Fior di Latte, mango sauce, whipped cream, and whole raspberries.) Bello! 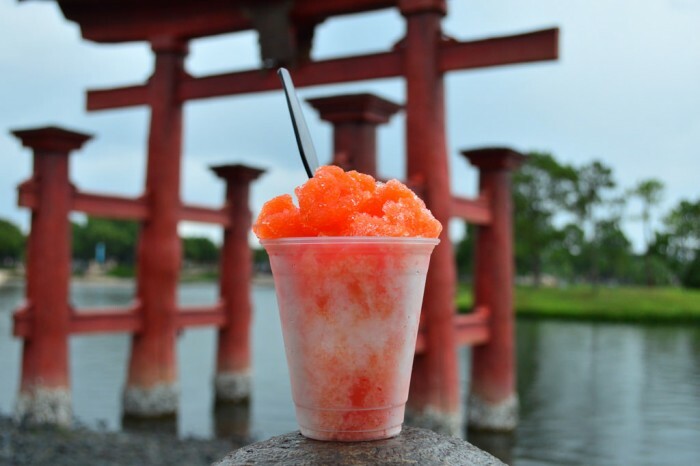 Shaved ice with fruit flavored toppings doesn’t sound like it would be a big deal, but we guarantee once you try a Kaki-Gori at the Japan Pavilion it will be a “must get” on every return trip. Available at the Kabuki Cafe in front of the Pavilion, there are several flavors available (although we are partial to tangerine.) When you happen to be in Epcot and it’s a thousand degrees outside with 200% humidity, a Kaki-Gori is the ultimate snack because along with the wonderful taste you’re going to be cooled off and hydrated by the ice. Kakigori options available at Kabuki Café. If there were a list of iconic Epcot snacks, School Bread would most certainly top the list. 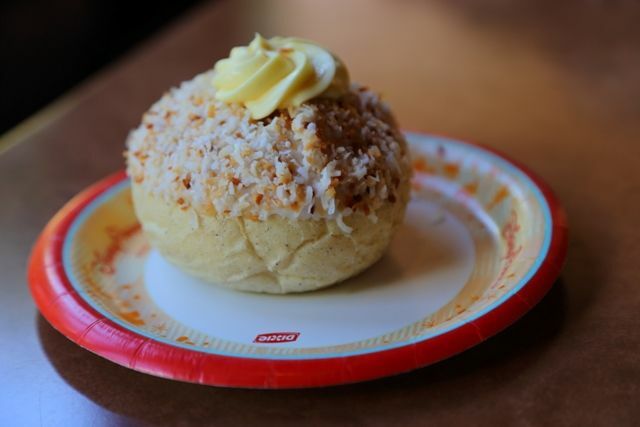 A favorite among many Disney fans (including our pals, the Disney Hipsters) the legendary School Bread is a cardamom bun with vanilla creme custard inside while topped with icing and a generous amount of toasted coconut flakes. 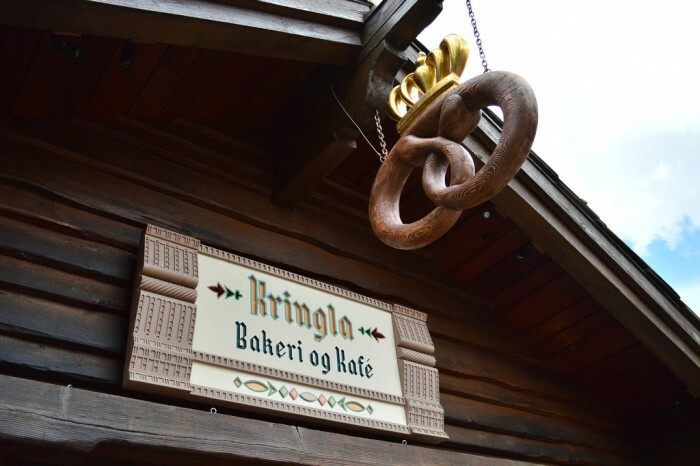 The Kringla Bakeri og Kafe is one of the best places at WDW to pick up a snack as they have other must-try treats including rice cream, sweet pretzels, and the troll horn. 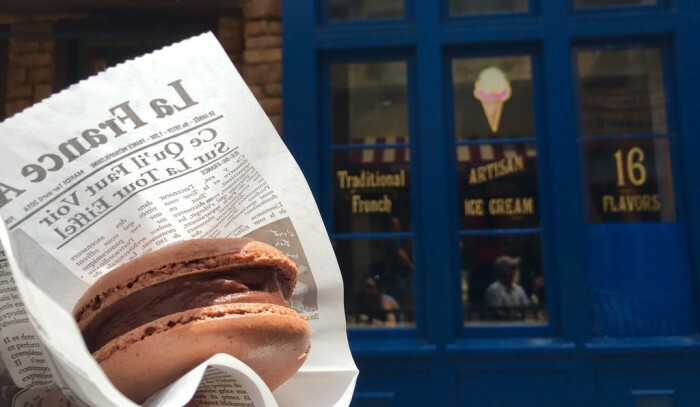 It was going to be tough to knock School Bread off the top of this list, but you just haven’t done Epcot right if you haven’t stopped into L’Artisan des Glaces and tried a Macaron ice cream sandwich. The ice cream itself is worth going out of your way for, but sandwiched in between two delicious cookies? We’re talking first ballot snack Hall of Fame here. To top it off, the sandwiches are wrapped in French “newspaper,” similar to the English newspaper the fish and chips are served into at the nearby UK Pavilion. It’s a great touch and that bit of style puts the Macarons over the top. 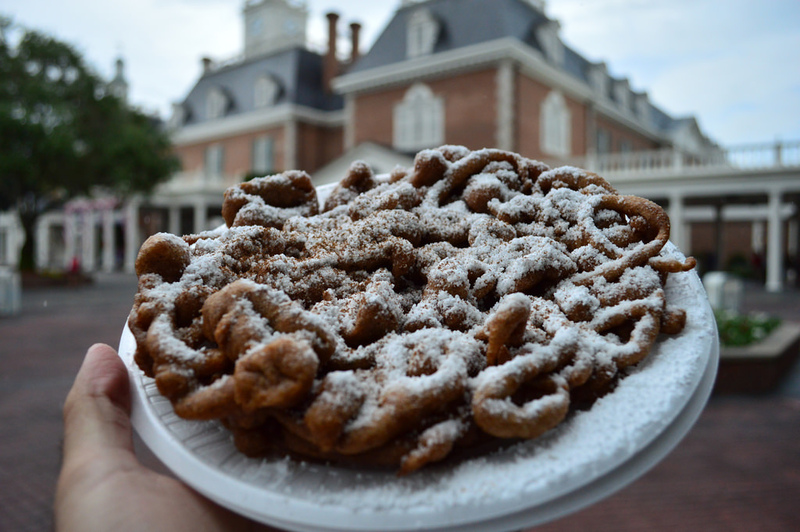 We could not close out this list without looking at the American Adventure and its signature snack, Funnel Cakes. Glorious pieces of fried dough available with several toppings (including apples, chocolate sauce, and ice cream) but we always go with the old standby, covered in powdered sugar. Other countries may have better presentation of their snacks, and we’re pretty sure all of them have less fat, calories, and cholesterol, but one bite of this fried culinary masterpiece and you’ll be chanting USA! USA! USA! Special Thanks to crack staff photographer Brandon Glover, Festival of the Lion King’s # 1 Fan Brian Carey, and Megan Stump for their invaluable assistance with this article. Be sure to also check out Brandon on The Park Blogger podcast with co-hosts Aengus Mackenzie and the aforementioned Brian Carey. While these are good options to have a top six list and not have any items from the Werthers bakery in Germany seems like an oversight…the dark chocolate sea salt caramel is amazing. I just had the Werther’s caramel popcorn in Norway on my last trip and that was a great one as well. I’m certain a “even more great snacks at Epcot’s World Showcase” will be coming in the near future. The Caramel popcorn from Karamell-Kuche in Germany is amazing and deserves to be on this list. I’ve had the school bread, and to be honest, I don’t understand why it’s so popular. I will agree on the macaroons, but I prefer the minis. Never had the ice cream one, though. And, it might be a bit of a stretch to call a “snack”, but the fish and chips at Yorkshire County Fish Shop are the best in Disney World – better than Ragland Road. I have had all of these and school bread was the only the one I liked enough to have more than once. But my husband and I frequently split a fish n chips for a snack and I would likely call that my true favorite Epcot snack food. The ice cream martini, brioche ice cream sandwich, and anything from Karamell-Kuche should top this list…then fill it out with the school bread and cronut. Scotch Egg at Rose and Crown. With a Guinness. The Gelato cart also offers an “Italian Margarita” that is great if you prefer snacks of the alcoholic variety. Good list! Norway and Japan have our favorites, so we end up not trying any others, but I am going to make it a point to try France and Italy next time. And the croissant donut! I’d love to see a top 6 savory snacks AND a top six sweet snacks. Oooooo, frangipane (sorry if I butchered the spelling), I almost forgot you! Shame on me. As someone with a wheat allergy I was delighted to discover I could eat the macaron ice cream sandwich in France. I tried the seasonal pumpkin spice macaron. It was amazing. Kringla bakery’s cream puff is not to be missed, either. Just enough sweetness to the gloriously cold whipped cream, and a nice contrast with the berries. I didn’t care much for the Karamell-Kuche offerings. All the caramel smelled slightly burnt every time I went past or in the shop. I love caramel, but I don’t like the flavor of burnt sugar at all. 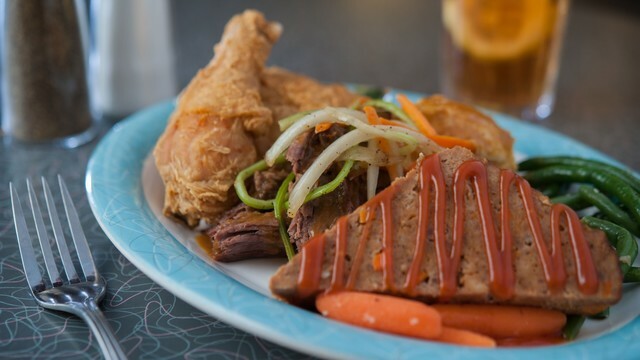 Our must-have World Showcase snack is egg rolls from the Joy of Tea stand. 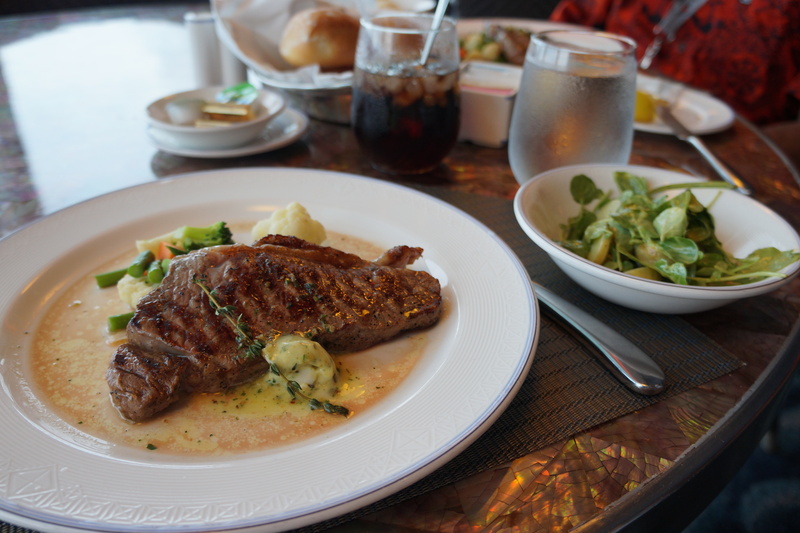 We rarely walk by without getting an order to share – even during the Food and Wine Festival.